This book describes how the State Security Services kidnapped the Bulgarian émigré, Boris Arsov from Orhus in Denmark in 1974. It is based on the files held by State Security against Arsov. The files contained the only plan for the murder of a Bulgarian émigré ever discovered copy in the archives of the SSS in Bulgaria. 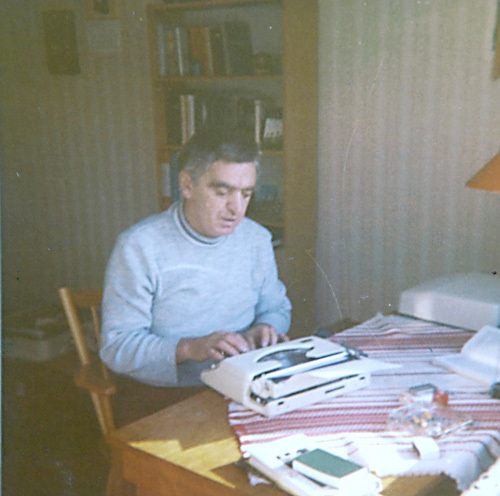 The initial aim of the State Security Services was the physical liquidation of Arsov in Denmark in retaliation for the émigré organization he had set up targeted at removing the communist regime in Sofia. The plan, however, did not come to fruition, since the Bulgarian agent commissioned to carry out the assassination did not do so, despite being paid 6000 Marks for the task. The top secret plan for the assassination of Arsov, however, reveals the aims and methods of the State Security Services and confirms that it took recourse to murder as a means of dealing with its opponents overseas amongst the Bulgarian émigrés who dared to criticize the government in any way. The Arsov case was the first clue which the Bulgarian investigators came across during their investigations into the murder of Georgi Markov four years later, in 1978. It gave grounds for investigating officers, Bogdan Karaiotov and Kosta Bogatsevski to believe that the same methods were applied in the assassination of the much better known and critical writer, Georgi Markov. Arsov’s file shows that after he was kidnapped from Denmark with the help of the Stasi, he was transferred from West Germany to East Berlin and from there into Sofia. In Sofia the State Security Services intended to use Arsov in a campaign to compromise the Bulgarian émigrés overseas, but he refused to cooperate. He was sentences in 1974 to 12 years in a high security prison under the control of the State Security Services in Pazardzhik and placed in solitary confinement. A little later he was found hanged with knotted neckties, despite the fact that when he was placed in prison all his personal belongings were taken away and he was given prison clothes. The reasons for his death were never investigated and he was hastily buried without his family being allowed access to his body. His family was warned by the SSS not to mention his death or even publish any obituary notices.